You must surely know the story of Goldilocks and the Three Bears? Wait, what has this got to do with inventory forecasting? The Goldilocks Principle of having something that is not too hot and not too cold has been used for everything from the search for habitable Earth-like planets to inventory management, and of course, the perfect porridge temperature. In the context of inventory management, the Goldilocks zone means holding just the right amount of stock in your business so that you’re not so overstocked to cause holding costs and risks to rise; and not holding too little stock so as to miss out on potential sales due to stock-outs and waiting for new stocks to arrive. 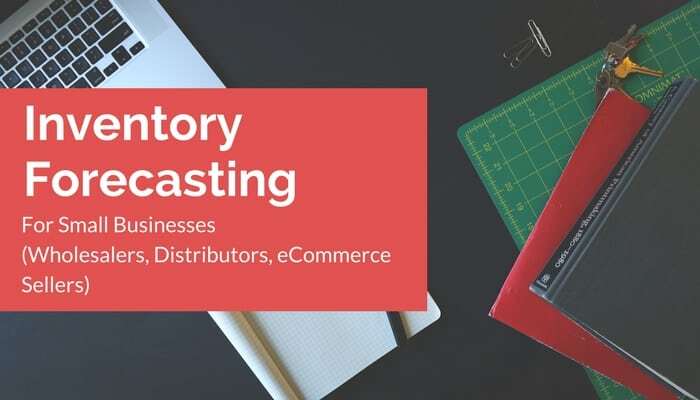 So, for the majority of small and medium businesses, inventory forecasting is simply an inventory reordering strategy to ensure that your stock levels are in the Goldilocks zone. I’ll show you that inventory forecasting is not some dark art that is mastered by a few consultants. Nor does it require expensive or complicated statistical software for demand forecasting. 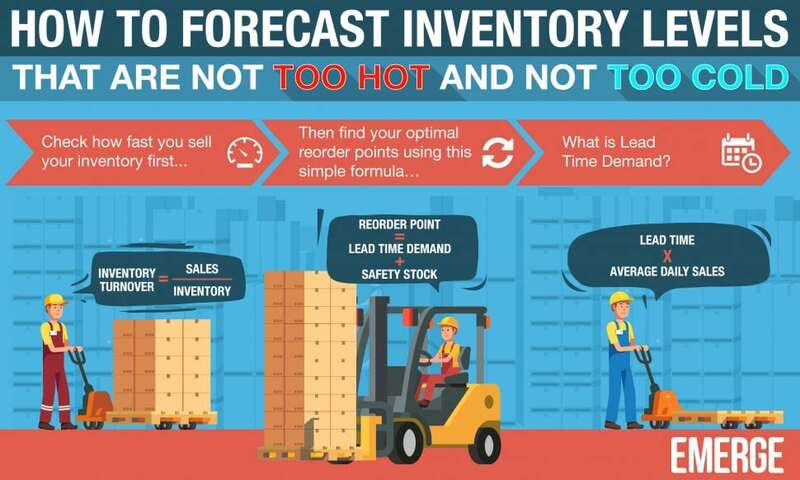 In fact, I’ll share with you a two-step process to forecast your inventory levels accurately: first, check that your inventory turnover is within industry benchmarks; and secondly, use the popular Reorder Point formula to get a reliable to reorder point for your goods. Are You Selling Goods As Fast As They Are Stocked? For a small to medium-sized business owner, you should know your inventory turnover ratio very well. Inventory turnover is arguably the single most important business indicator for a wholesaler or distributor. And it is critical for inventory forecasting. So, what exactly is inventory turnover? 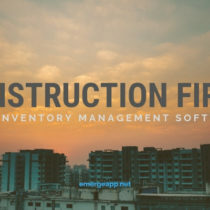 Simply put, inventory turnover is how fast you sell your inventory and the need to replenish it. The faster you “turn” your inventory, the more inventory you’ll need in a year. A basic, oft-used formula is Sales ÷ Inventory measured over a period of one year. For example, if your annual sales were $200,000 and you had $50,000 worth of inventory, then your inventory turnover ratio would be 4. This means that you turn over your inventory 4 times over a period of one year. Contrary to thought, a higher inventory turnover number isn’t necessarily better. A high number means that you’re not stocking enough quantity of an item. For example, if you turnover an item 48 times a year, then you are selling 4 items a month. If it takes 3 weeks to replenish that stock, then you will miss about 3 sales during that period since you are selling an average of 1 item a week. To fix this, you need to raise your inventory levels and lower your turnover so that you don’t miss out on any sales. Conversely, you are clearly overstocked if you have a turnover of 1 and you have a quantity of 12 items in stock. Here, you are selling an average of 1 item a month. Not an ideal situation! For most businesses, a turnover of 2 to 4 is ideal. This is a general rule of thumb, though. Why? Because it matches the reordering and restocking time of an item within the sales cycle. This means that you get the new stock in before you sell it, thus minimizing the quantity that you need to hold and all the risks associated with holding stock. How Do I Determine My Optimal Reorder Point? A reorder point is the level of inventory that triggers an action to replenish stock. In other words, it’s a minimum quantity of an item held, such that, when a stock falls to this level, the item must be reordered. Reordering inventory is both an art and a balancing act. If you don’t have enough stock on hand to cover your reorder lead time, you’re reordering too late. If you place an order and end up with excess stock taking up valuable warehouse space, then you reordered too early. It is a delicate balancing act that has a place in inventory forecasting. Thankfully, there are a few ways to calculate that reorder point sweet spot that is not too hot and not too cold. What Is Lead Time Demand? Lead time demand is the total demand between now and the estimated time for the delivery after the next one if a reorder is made now to restock the inventory. But what is lead time then? Lead time is the time it takes from the issue of a purchase order to your supplier to the time it arrives in your warehouse. Simply put, it is the time it takes for new stocks to arrive. Most suppliers provide an estimated lead time. But it is best to use your own data to calculate your actual lead time for inventory forecasting. Remember, the more historical data you use, the more accurate your lead time calculations. Look at your past purchase order invoices and receipts to see how long each supplier takes on average to deliver the goods to you. This is the best way to go about it. Also, be sure to include any extra processing time, such as the time before your supplier ships out the goods, or the time taken by you to prepare the goods for sale. All these extra days do add up! For your average daily sales, look at the average number of sales per day for each of the products that you are restocking. 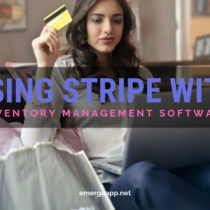 Reports can be done manually or with the help of inventory management software such as EMERGE App. Again, use data from a similarly trending time period to calculate this average. Seasons, holidays and one-day events such as Black Friday sales can lead to massive spikes in demand. Safety stock is not the stuff that you purchase in the event of a cataclastic disaster. It is a buffer of extra stock that is maintained to reduce the risk of stock-outs due to fluctuations in supply and demand. As with normal stock, the amount of safety stock that you choose to keep can affect your business. Too much safety stock can result in high holding costs of inventory. Not to mention the risks of spoilage, expiry, theft or damage when stored for too long in a warehouse. On the other hand, too little safety stock can result in lost sales and, thus, a higher rate of customer turnover. Thus maintaining an optimal level of safety is critical to your business and inventory forecasting, too. 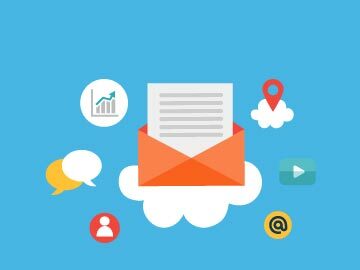 Expressed this way, this is the difference between your maximum lead time demand and your average lead time demand. Finally, it’s better to err on the side of caution as keep slightly more stock on hand than not enough to meet demand. This simple formula should be a good start so that you can tweak your safety stock to fit your business. Now that you have your lead time demand and some additional safety stock, you can set a stock level to trigger a reorder point. So once you reach this minimum inventory level, you should have enough stock to cover your expected demand during the time it takes for new stocks to arrive at your warehouse. You’ll also have a buffer to cover yourself during unexpected spikes in demand or delays in delivery. However, there’s no better to see everything in action than with an example of inventory forecasting. Let’s say that you sell toys and one of your bestsellers is a limited edition bear from a famous fairy tale. You want to make sure that you always have this bear in stock. Being out of stock means that your customers will buy elsewhere from your horrible, nasty competitors. But having too much stock means that you don’t have room for other fairy tale bestsellers in your toy list. Lead time. It takes 30 days to receive a new batch of limited edition teddy bears from the factory. Average daily sales. You sell an average of 8 teddy bears a day at your store. Hence lead time demand = 8 x 30 = 240 teddy bears. Safety stock. They come in a compact, stackable box. So you like to keep 10 teddy bears as a buffer in your secret storeroom. Hence, your reorder point would be 240 + 10 = 250. So, you should quickly reorder more stock when you get down to 250 bears. That’s a lot of teddy bears! 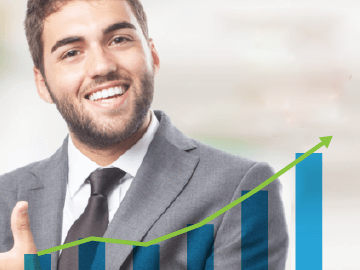 You need to remain competitive in the wholesale and distribution business. This means maintaining a consistent level of stock and hence provide consistent service to your customers. To do this, you need to manage your inventory carefully by forecasting demand to prevent stock-outs and overstocked situations. Use formulas and tools in inventory forecasting. This will help you to arrive at a reliable reorder point for each product in your inventory. Finally, use an intelligent, cloud-based inventory management system liked EMERGE App. 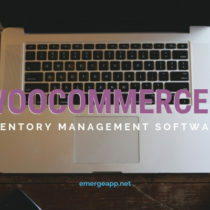 Such software will report on your average daily sales, lead time for purchases and inventory levels for your products.